How do I answer a call while surfing? 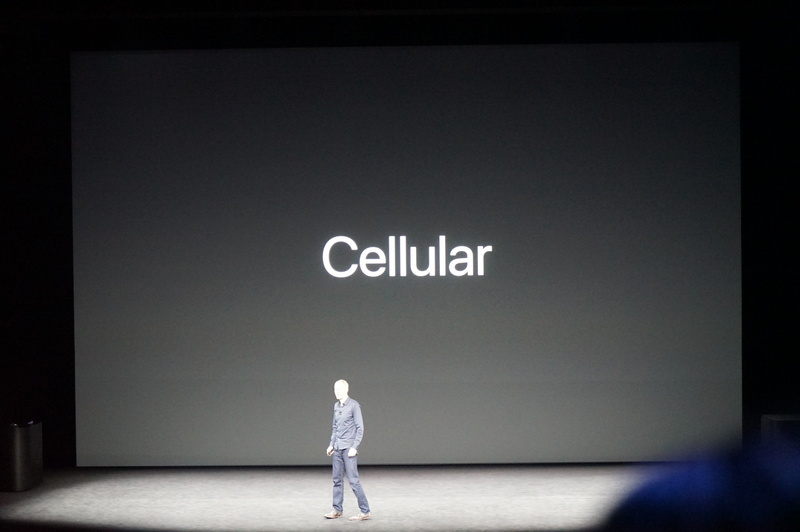 Apple Watch 3 has cellular built in. 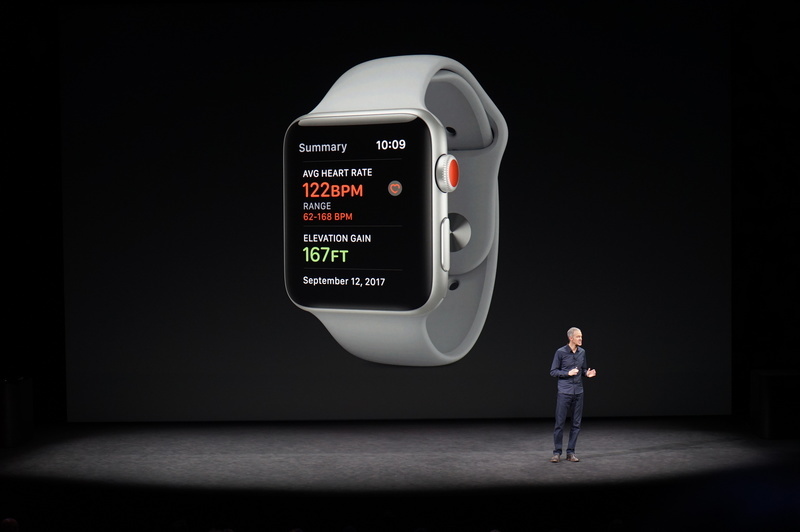 You can just bring your Apple Watch without your iPhone. "our vision from the very beginning"
This has been our vision since the beginning, Williams says. 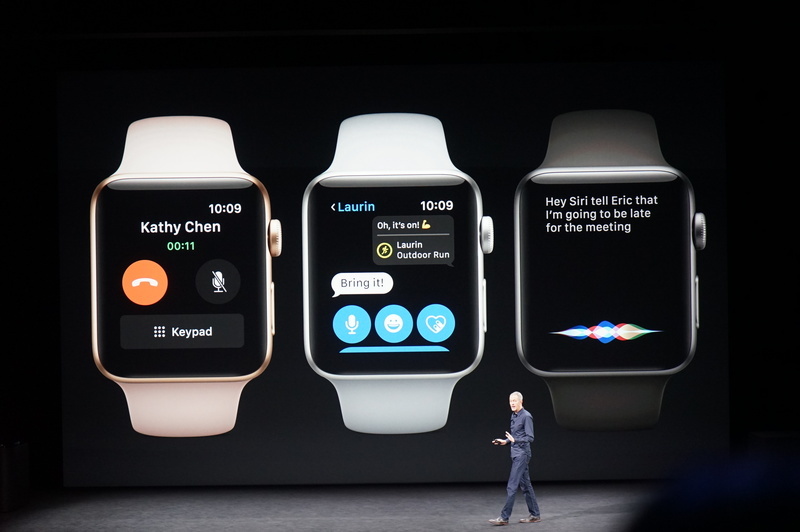 You can receive calls on your watch. It's the same number as your phone number. Siri is available anytime. You can use Maps. Location for Find My Friend switches over to Watch. 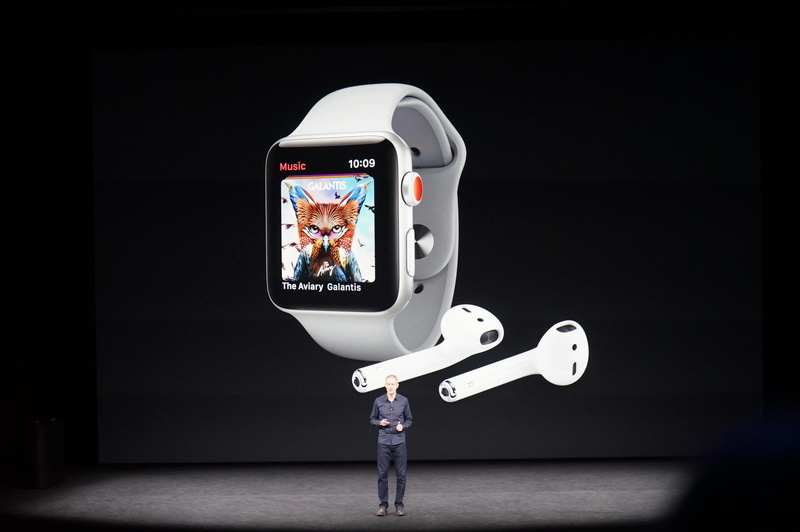 Apple Watch and Apple Music - you can stream 40 million songs on your wrist. 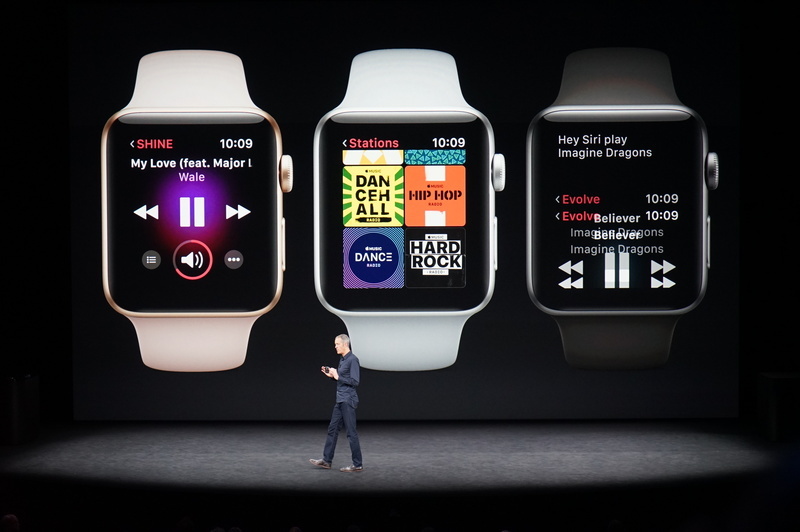 You can access Beats One Live or your catalog of music on Apple Music straight from your Apple Watch. It doesn't seem like a different design. 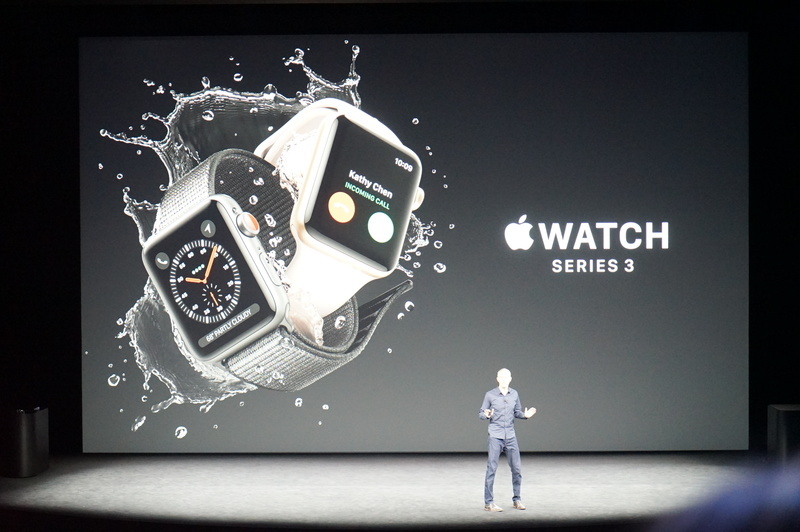 We have packed Series 3 with the most technology in a watch, he says. It's 70% faster, Siri is quicker than ever, and can talk, he says. Siri talks on watch. That could be...useful...for some. 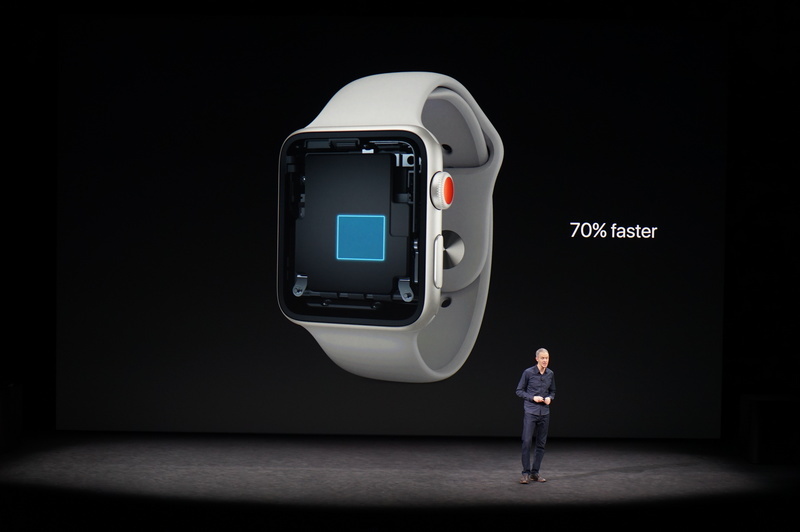 Apple Watch uses a custom W2 chip with 85% faster Wi-Fi while 50% more power efficient. Releasing skiing and snowboarding apps for Apple Watch. Barometer was an overdue feature. The biggest challenge was adding cellular. Williams talks about the complications in building an LTE radio while keeping a smaller body. 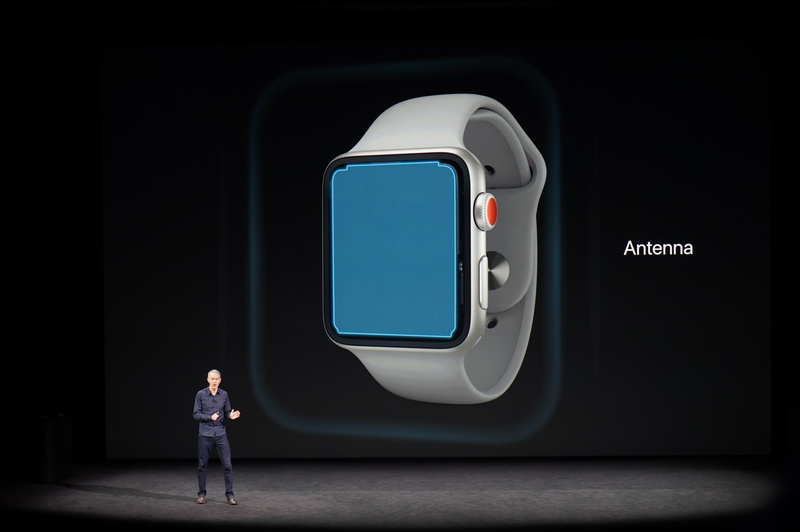 Watch looks similar-sized, despite cellular. 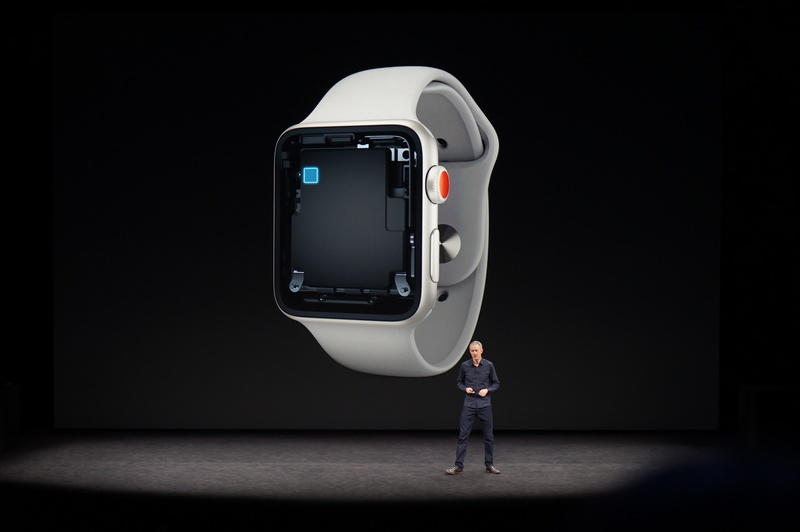 Apple integrated an electronic SIM into the new Watch. 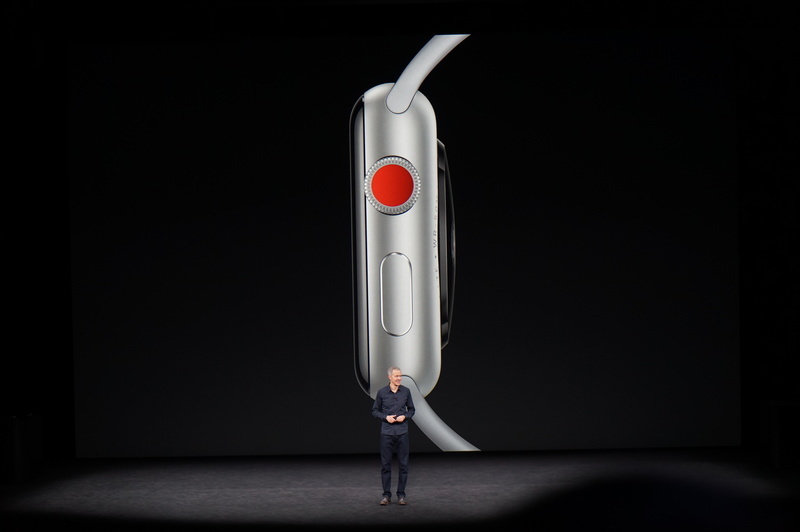 Even with the new features, the case is the same size as Series 2, he says. The only difference is the crystal at the bottom is .25 mm bigger, he says.